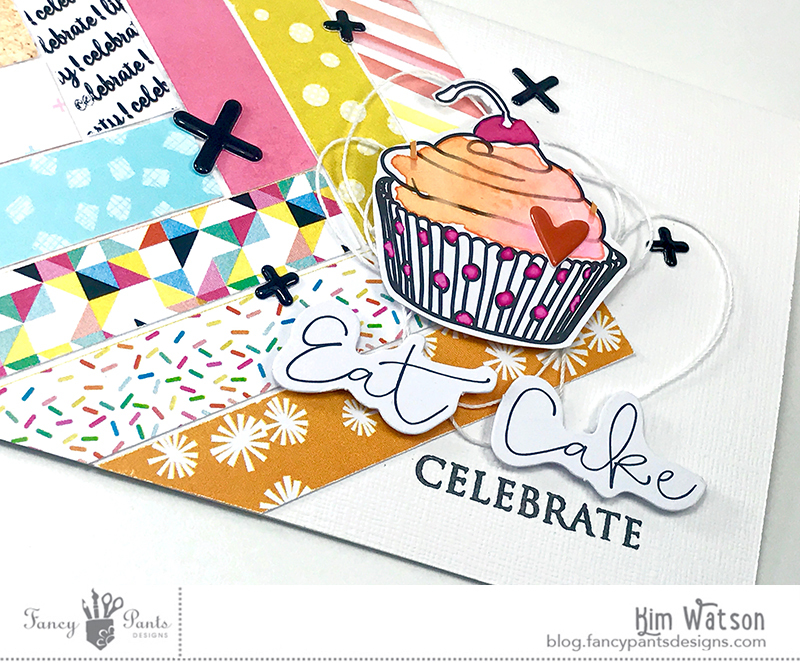 kim watson ★ design ★ papercraft: Ombre watercolor effect for your cards! 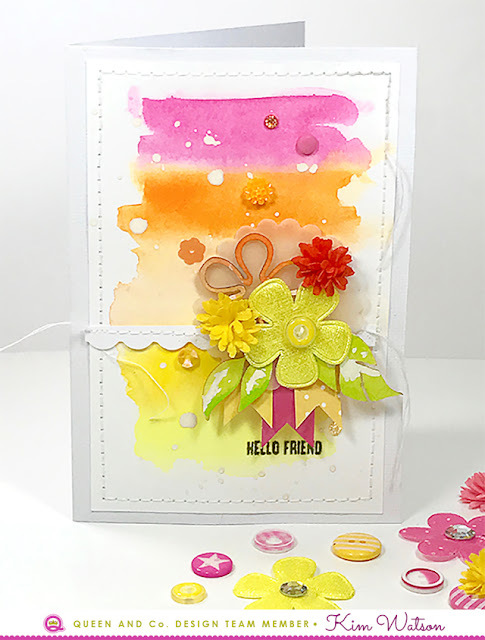 Ombre watercolor effect for your cards! 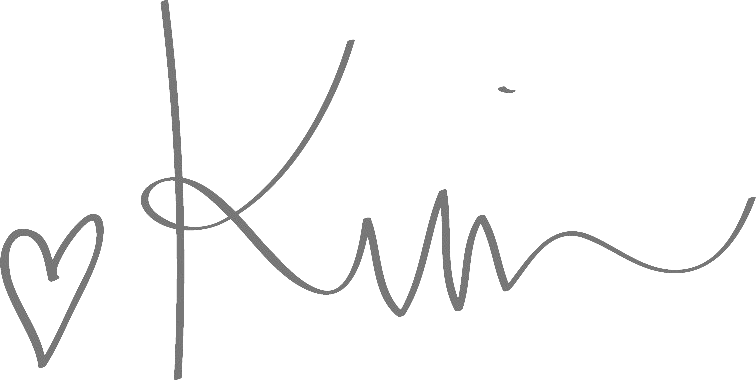 Thanks for joining me on the blog today friends! I have some ideas to share that I hope you are going to love! Ok, so do you love making cards? Yes, I do! Do you have friends & family you love give cards to? Yes, I do? Do you feel like playing with paper right now? Yes, I do? 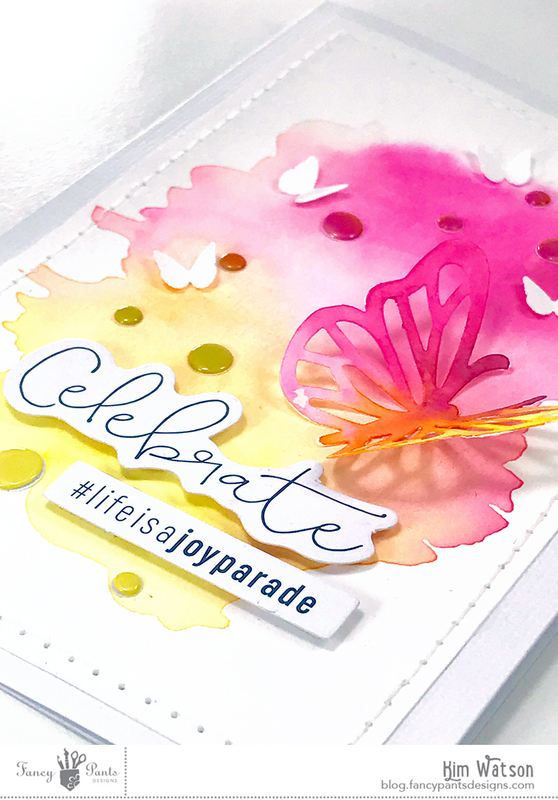 Here are some cards that will add a whole lot of color to someone’s life, using the uber fun, Joy Parade collection from Fancy pants Designs AND gorgeous bling & flowers from Queen & Co. Create an ombre effect with complimenting watercolors like I did on these few examples. Add some bold swashes of watercolor for the background. Punch a vellum scalloped circle. Decorate with flowers & leaves. Adhere little bling accents in ombre colors to match the background. Punch a sweet butterfly then paint it in bright colors. Adhere puffy sticker dots in ombre colors to match the background. Punch an assortment of butterflies from left over scraps. Arrange them in an ombre fashion. 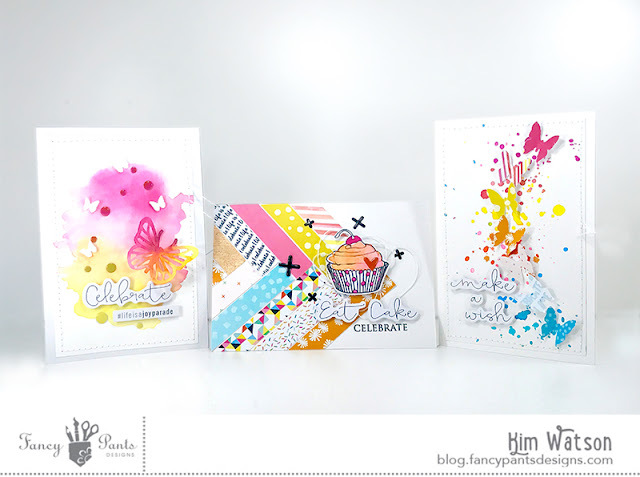 Splatter background with ink colors to compliment butterfly colors. 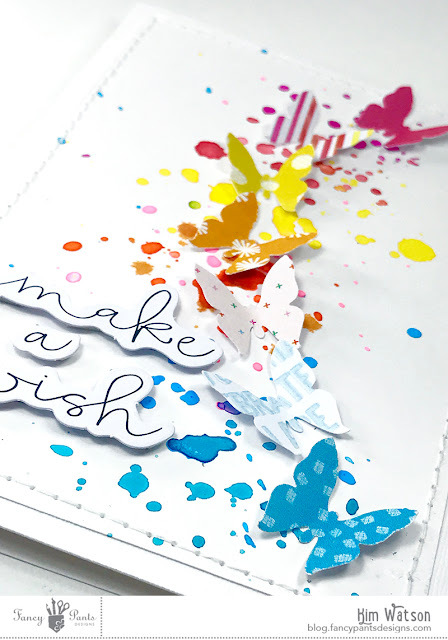 Once dry, attach butterflies & sentiment from the Ephemera pack. Cut a selection of paper strips, attach adhesive tape on the back. Lay the strips in a pleasing patchwork arrangement, trim off extra. Paint a cupcake Ephemera piece & allow to dry. Attach accent to card with foam tape & a little bunched pile of thread. Decorate with puffy stickers & a sentiment. All done…four rainbow inspired cards, sure to bring joy to anyone who receives them. I hope you have enjoyed them. If you are curious how I created the backgrounds, be sure to take a look at my Youtube channel.